I find that there’s one common misconception among Singaporeans, in that most Singaporeans think that Fine Dining must be expensive, with meals costing unfathomable amounts. Today, I would like to point out that this is not necessarily so. First, let’s identify what fine dining really is. Fine dining is made up of 3 elements; a fine dining menu featuring foods of high quality, a fine dining customer service where staff are trained to answer any queries about food and make your dining experience a pleasant one, and lastly a fine dining ambience where attention is paid to details in the furnishings and restaurant layout. While all these elements inevitably add up to higher operating costs, it should be made known that exorbitant pricing of the menu is not a necessary element in fine dining. 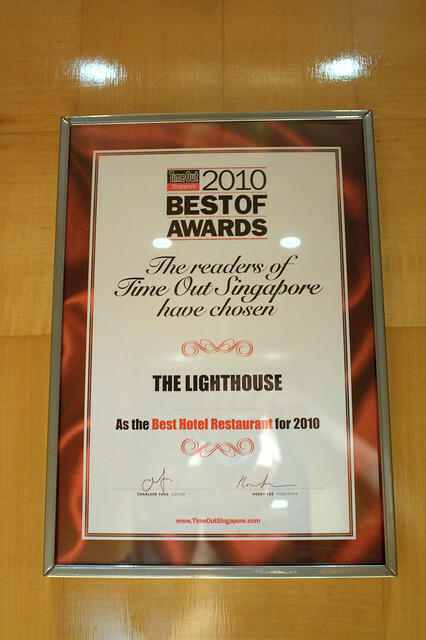 Take for example my recent visit to The Lighthouse @ Fullerton Hotel. 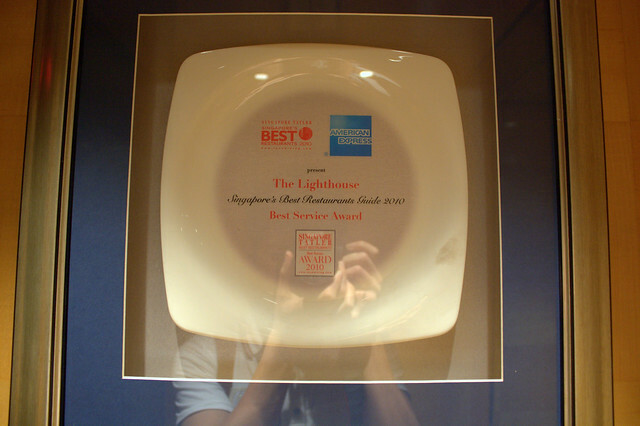 It fulfils all the aspects that make up a fine dining restaurant, amassing some food and service awards in the process. Yet, with the UOB Chef Creations Menu available for the 3-Course Lunch and 4-Course Dinner at $68++ and $128++ for 2 Pax respectively, it would be erroneous to suggest that this price range (especially the lunch which comes up to $40 a pax after the ++) is too far off our once-in-a-while-pampering-ourselves-with-a-fine-dining-meal budgets. Of course, if your pockets aren’t too shallow and a wider variety of appetizers, mains and desserts is preferred, you might want to opt for the Daily Set Lunch here available at $38 for 2 Course and $56++ for 3-Course. Not wanting to bust my post-Xmas and New Year spending too much more than I already did, little J and myself opted for the UOB Chef Creations Menu. 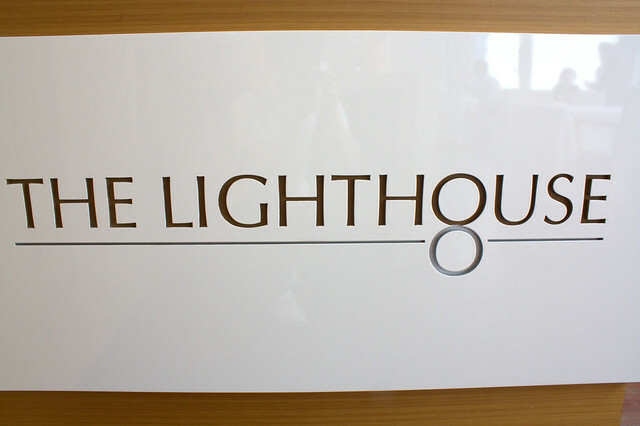 In navigating the way to The Lighthouse, although it is addressed on the 8th Floor, upon reaching the 8th Floor, you have to take another lift there that specially brings you to the restaurant. I’m just wondering what would happen should that lift break down since it seems to be the only way to access The Lighthouse. 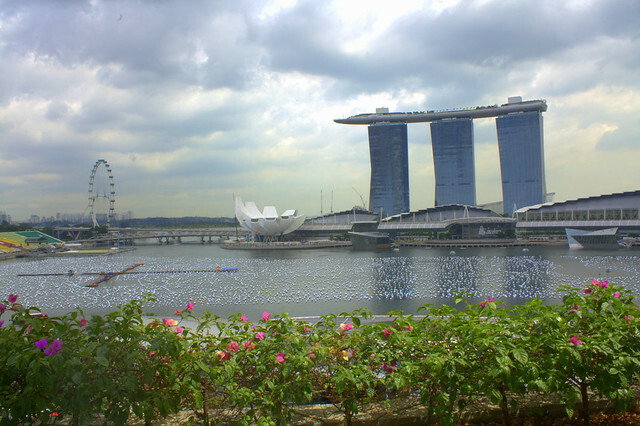 With a breathtaking panoramic view of Marina Bay Sands and the Singapore Flyer, I’d imagine this would be a great place for celebrating special occasions for loved ones. The sitting capacity isn’t large, probably able to house 30-35 people at most but this just adds to the exclusiveness and allure that is The Lighthouse. 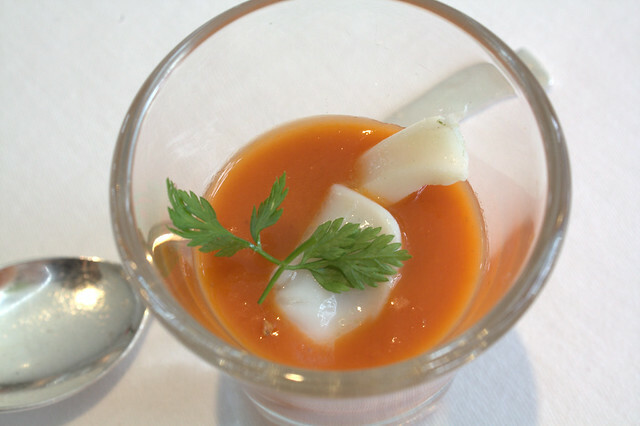 Amuse Bouche was an overly concentrated shot glass of Tomato Soup with Squid. 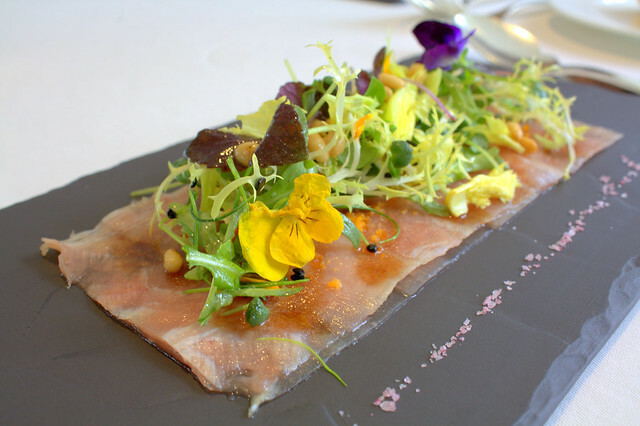 The meal officially started off with the Tuna Carpaccio, Fine Herbs Salad, Mullut Bottarga (also known as Mullet Roe). 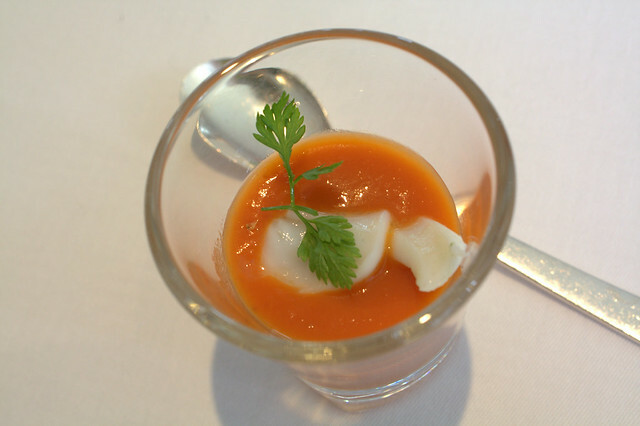 Taste-wise, nothing really outstanding but I really loved the garden-concept plating. 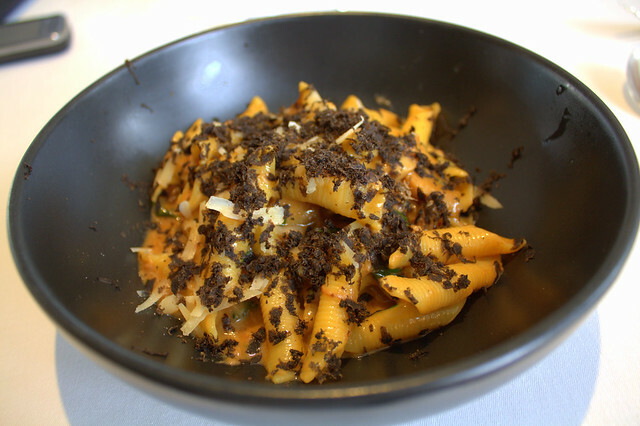 The Main was a Homemade Garganelli Pasta, Wild Boar & Porcini Mushroom Ragout with Black Norcia Truffle. Little J loved this dish from start to finish. On the other hand, I found the cheesiness to be slightly overpowering at the start but soon grew attuned to it and rather enjoyed the cheesy sauce at the end. I felt my pasta was slightly undercooked as I could still spot uncooked flour at the core of my pasta. 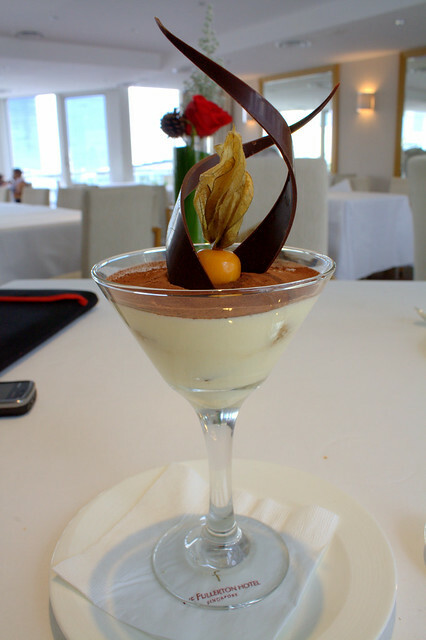 For Dessert, the Classic Venetian Style Tiramisu was served and boy was it the most incredible Tiramisu I have ever laid my taste buds on! This one had an utterly thick and consistently smooth creamy texture which would never fail to enthrall. With lots of love, peace and joy, here’s wishing all A Happy New Year! 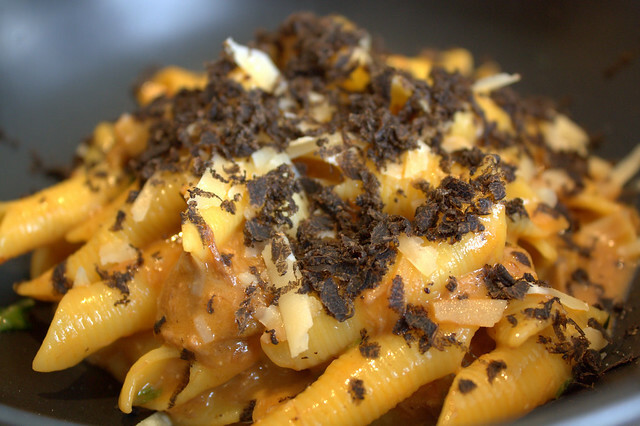 Categories : All YumYums in my TumTum, Chichi, Cuisine Type YumYums, Italian, Location of YumYum, Raffles Place, Yummy! 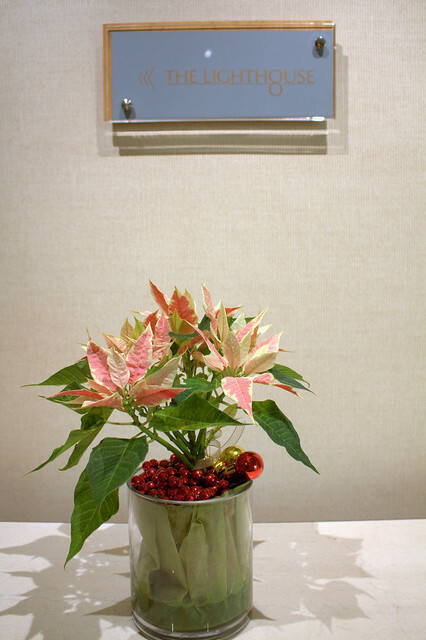 Hi, great post! 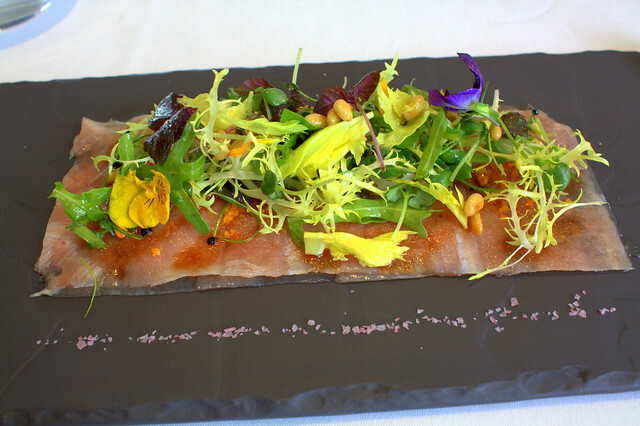 Just wondering if you had a list of all the restaurants under the Chef’s Creation Series for this year? hi! 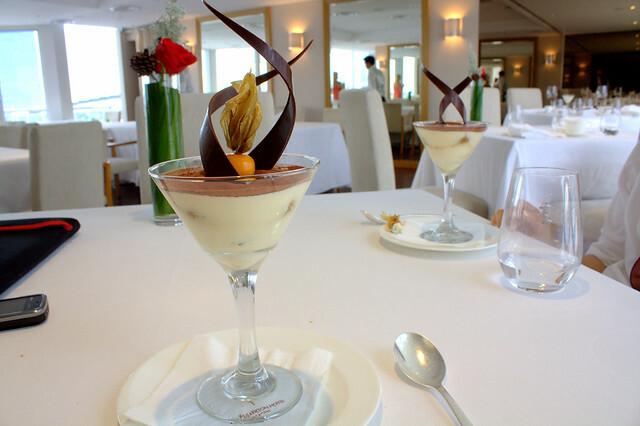 If i’m not mistaken, the UOB Chef Creation Series ended on 16 Jan 2011. Not too sure if there’s going to be a continuation. oh my categorization is on my right column dropdown box! i din use the tags haha. i’m a technophobe.